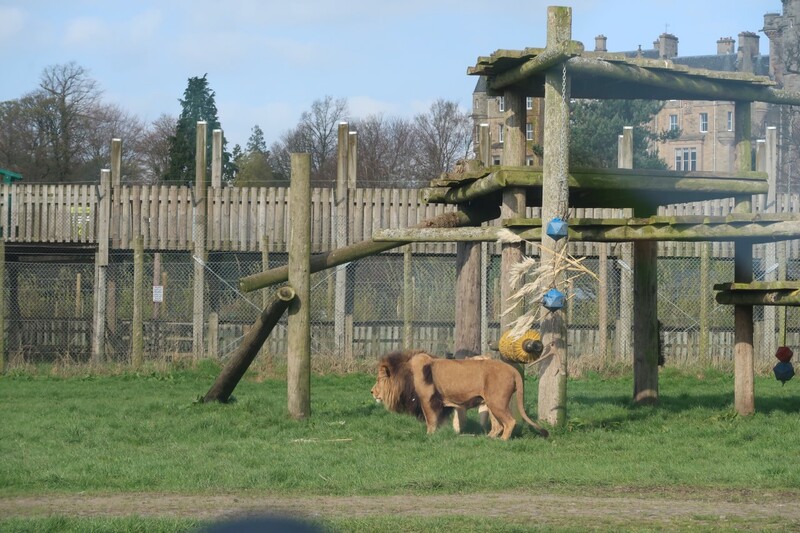 AD – We were invited to Blairdrummond Safari Park for the purpose of this post. 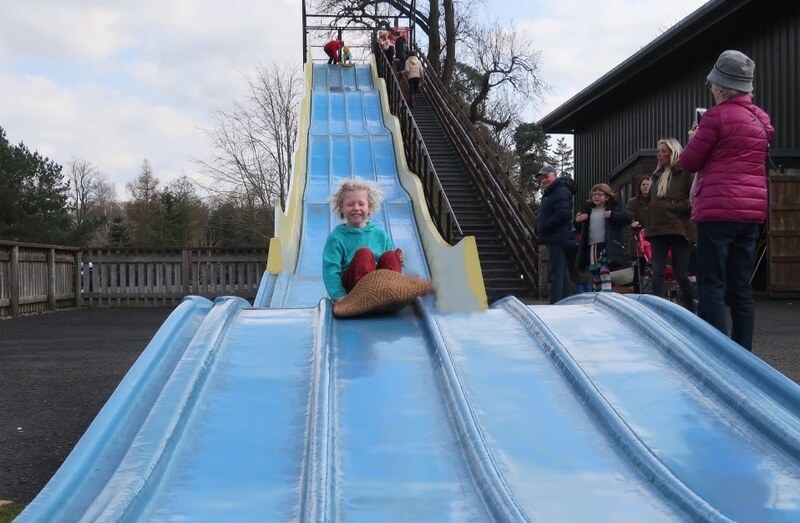 We always enjoy a trip to Blairdrummond Safari Park, learning about the animals, playing in the park and listening to the various talks are all highlights of our previous trips. 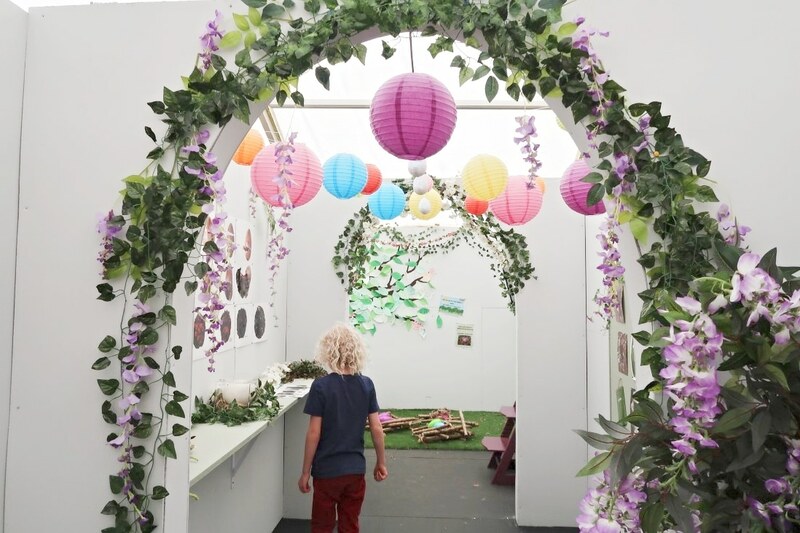 As we visited during the Scottish Easter holidays there was a special spring theme, with extra entertainment and arts & crafts in the big tents. 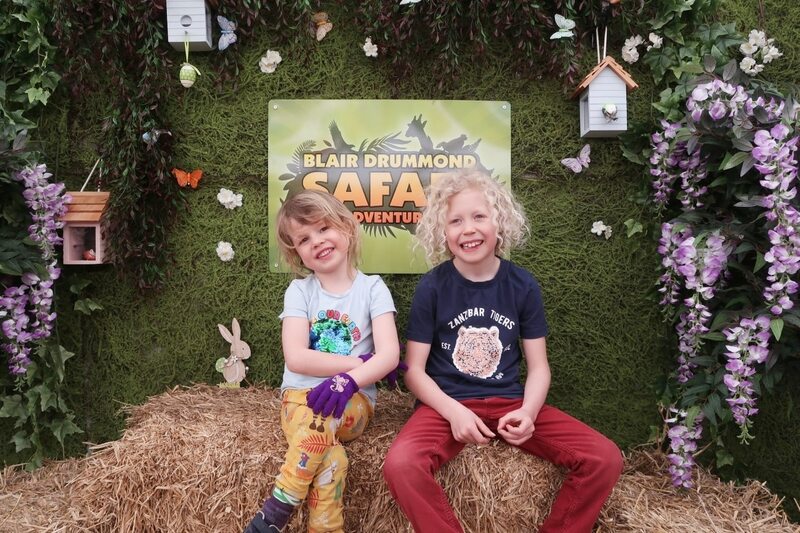 Read on to find out more about what you can discover at Blairdrummond Safari Park! When you first arrive at the safari park you have the option to either park up and walk through the site, or to go through the drive through area. You can drive through more than once, but we like to do it first as it’s always a fun introduction to the larger animals. You are given a map at the ticket office showing which animals are in the different sections of the drive. 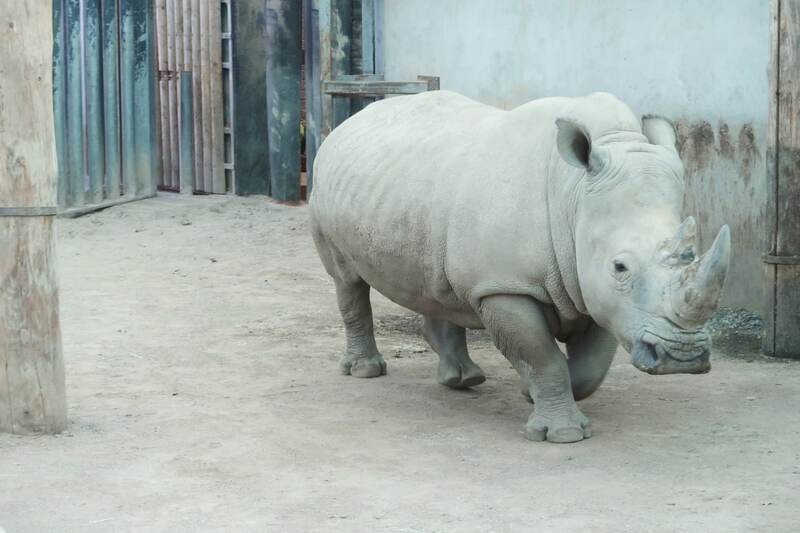 The first animal is usually the Rhino, along with a variety of antelope, Zebra and cattle. Some of the antelope were fighting when we drove past, so it was rather interesting to see them clash horns and chase each other. After the antelope you drive through the lions area, which is kept separate to to the other animals for obvious reasons! Usually the lions appear to be fairly relaxed and spend the majority of the time lying down in the sun. Although this time a few were wandering around in front of the cars. The macaques are in the next enclosure, separated from the other animals. 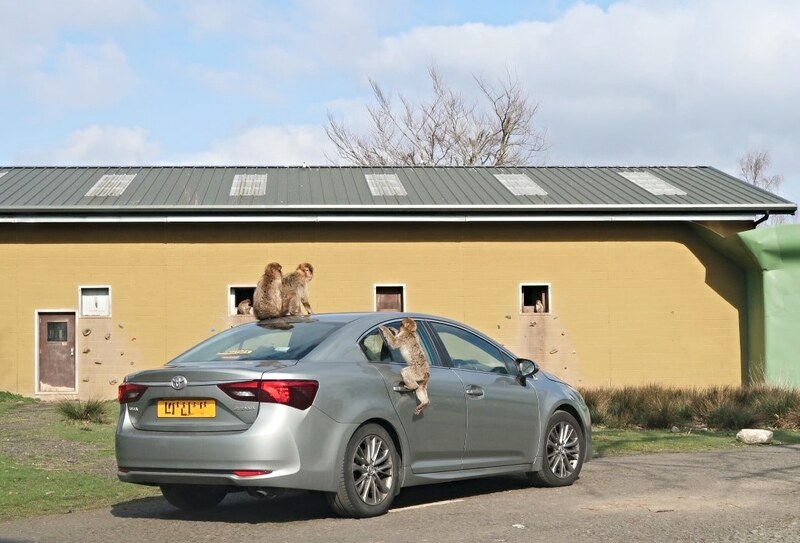 They have higher fences as clearly they are brilliant climbers and enjoy climbing on different cars that are slowly driving around the enclosure! We did have a giggle at the macaques above, mainly as the man driving did not look amused! I think he was quite proud of his car! If you do stop beside the macaques building it seems to be the area that the macaques are most likely to jump on your car, as it happened the last couple of times we have visited at the same point. If you don’t want monkeys on your car then head straight to the camel and deer enclosure after the lions! Most of the entertainment at the park is free, however the amusement rides beside the car park are all extra’s that you need to pay for. If you don’t want to pay for them then it’s a good idea to mention to your children that they can’t go on those, but the big slide and play park nearby are free to use. The bungee trampolines are always a favourite of my two, so they had a great time jumping up and down! There are also tea cups, airplanes, dodgems and a bouncy castle to play on. We were given a few tickets to use on the rides, so my little monkeys decided to have a go on the trampolines, bouncy castle and roller coaster. 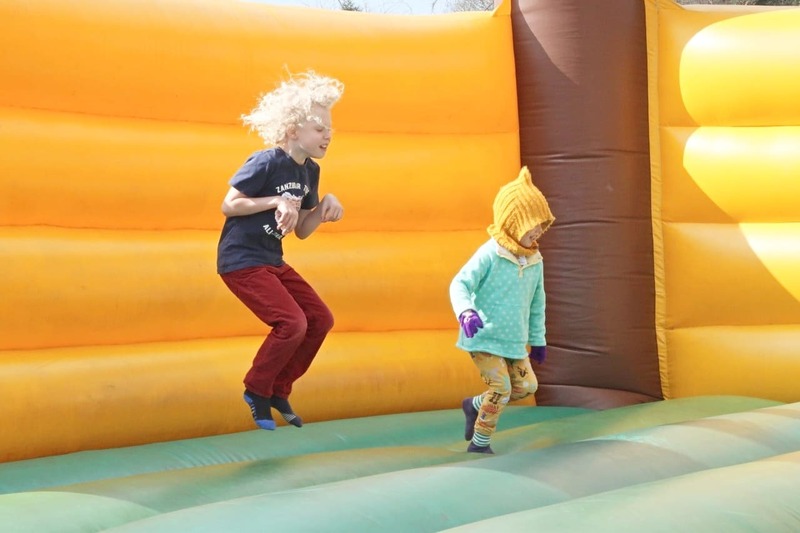 The bouncy castle is great for practicing your kangaroo jumps! Even younger kids are happy on the bouncy castle for a little while. 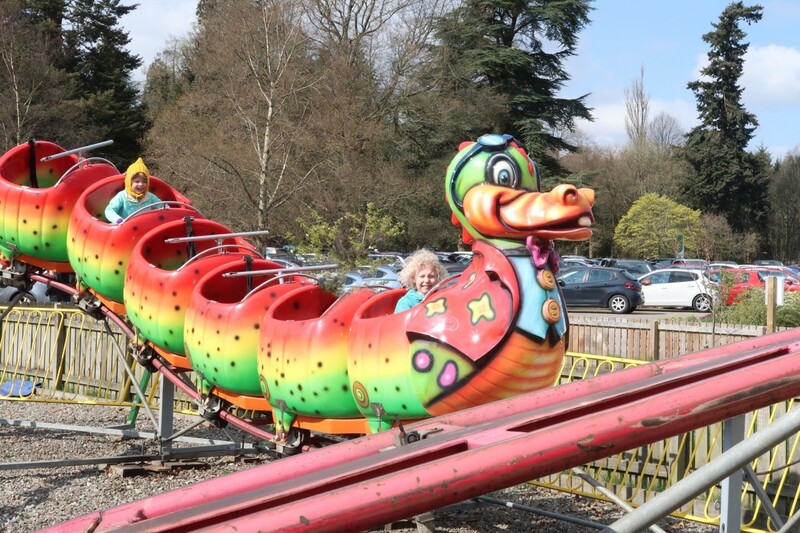 The rollercoaster ride is rather tame, but will keep younger children happy as they roll around on the dragon coaster. I still think it looks a little like duck-dragon, but the kids don’t care, they had fun on it anyway! Beside the amusements area is the Sea Lion building, we didn’t go to the talk and demonstration this time, but have enjoyed it in the past. Around the corner you can walk around to see the meerkats, penguins, red ruffed lemurs and then the tiger enclosure. The tiger appeared to be eating grass and was hiding behind a hummock of grass. 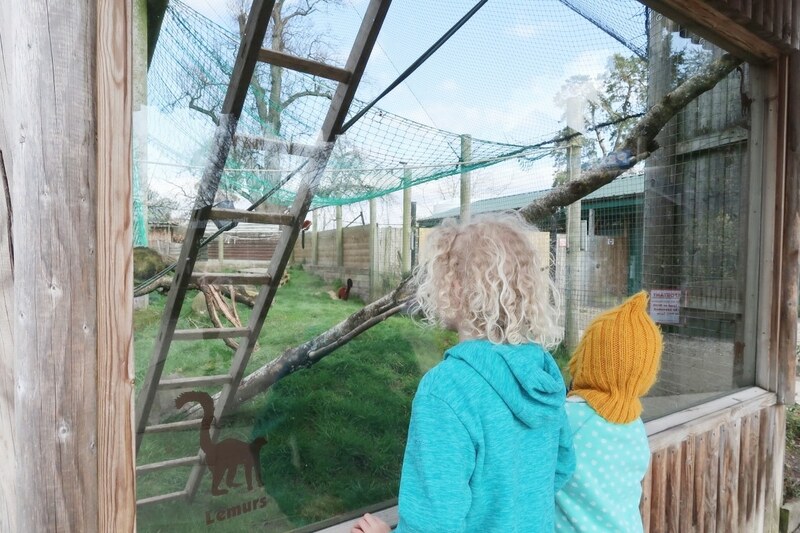 The lemurs were very active and the children had fun watching them exploring their enclosure. One little otter in the enclosure beside the lemurs was rather loudly squeaking at all the people watching, I wonder if it was nearly feeding time or it was trying to wake up it’s siblings?! We missed our the farm animals section, but you can go around the petting zoo to see different domesticated animals. Or you can continue on past the amusements and play park to see the lions, rhino and giraffes. The rhino was happily exploring it’s indoor habitat as we were visiting, and the giraffes had gone back inside too when we went over to them. The elephant was happily munching on food in it’s outdoor enclosure opposite the pedalo’s. Next to the pedalo’s is a bridge over to Lemur land, which is possibly my favourite part. I love seeing them running around the fences and trees! 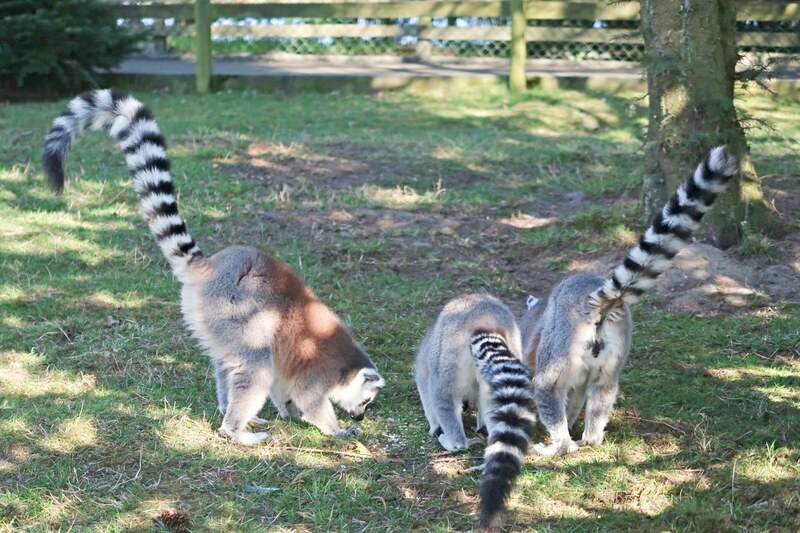 Some of the ring-tailed lemurs were stealing other species food or sunbathing in the beautiful sunshine. There was also a tiny baby hanging onto it’s mother near their indoor home. Next to Lemur Land you can catch the boat to chimpanzee island, where 4 chimpanzees are lazing in the sun. As usual we were advised to keep hands inside the mesh as the chimps are known to throw things at the boats when they feel like it. I’ve never actually seen them do this, but I can see why the mesh area is there! Opposite the main car park is the birds of prey display area, we have never actually made it there. 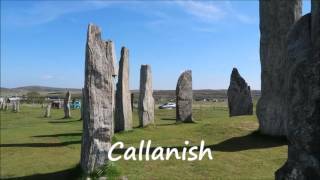 There’s so much to do through the whole sight that we never seem to get round to the birds of prey! There are also plenty of talks throughout the day around the park, we haven’t been to many, but the staff are very knowledgeable at the talks we’ve been too. 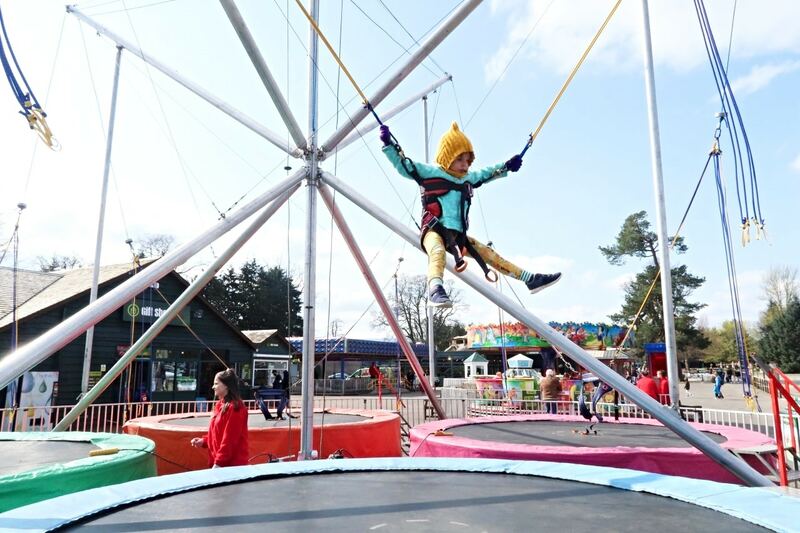 Blairdrummond Safari Park often has themes for the different times of year and as it’s the Easter holidays it’s all about spring! 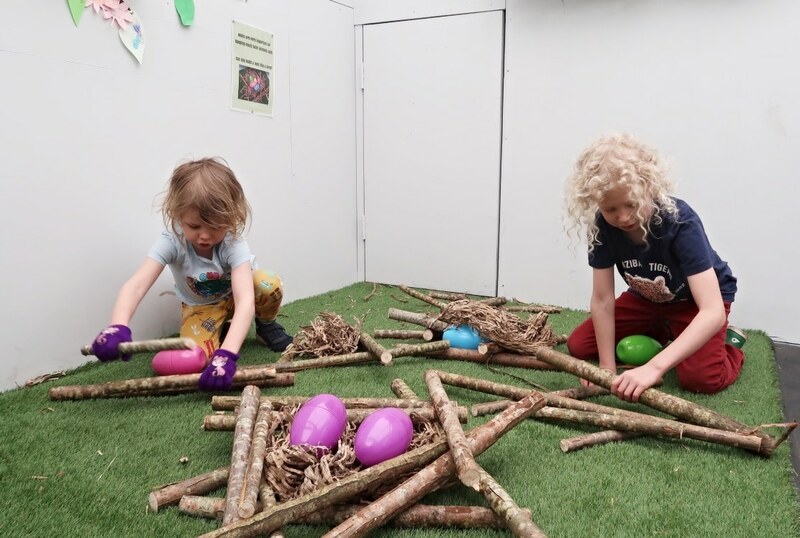 Amongst the various spring activities is a Bunny Trail, where you can spot 6 different wooden rabbits around the safari park with letters on their tummies. Put the words together and hand in your bunny trail leaflet with the unscrambled word written on to receive a yummy prize! At the marquee beside the barbecue is the spring fling activity area. 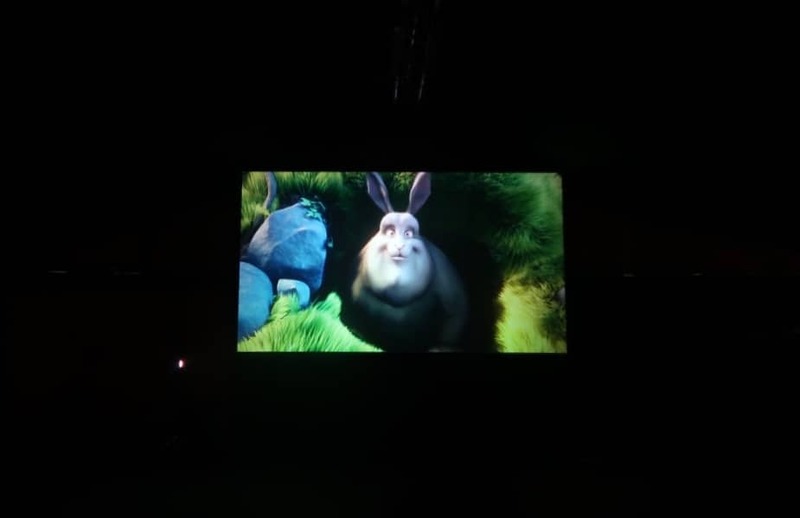 A 3D cinema show of Buck’s Bunny was interesting, although I’m not quite sure of the entire point of the storyline! The kids found it amusing, but it basically is a bit like Tom and Jerry! The film is only 10 minute long and you’re given 3D glasses to wear for the show and replace back in the bucket afterward. Beside the cinema tent is the arts & craft and education areas. It was beautifully decorated with fake flowers, paper lanterns and other colourful spring themed decor. I particularly liked the education area with information on how chicks develop, guessing the animals eggs and making nests for plastic eggs. Both my boys went straight for the nest making section and created their own nests to protect their eggs. There was also lots of information on encouraging wildlife to make a home in your garden, with various printable’s for children to take away. We will be making seed bombs and a butterfly feeder very soon! In the next room are the art & craft items, however I didn’t get a good look at these as the show was about to start! 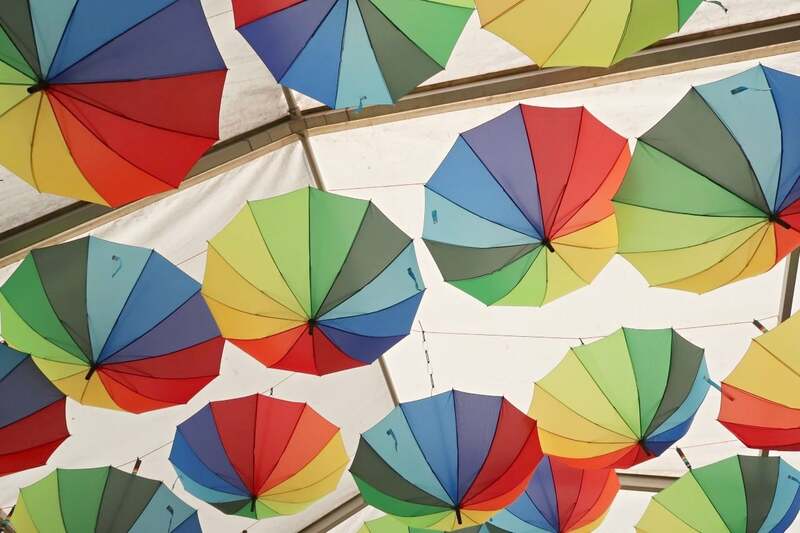 I loved the rainbow umbrellas above the puppet show area, they really set an uplifting mood! So colourful and pretty, perfect for spring and April showers! We were looking forward to seeing the magician and puppet show, however both my friend and I felt rather uncomfortable through the entire show. The first part involved a lot of banter and some magic tricks, which were pretty good tricks, he clearly had talent for the slight of hand. The problem we had was with the banter. There were various comments made towards the girls in the audience that were very old fashioned. At one point the magician asked if one of the girls in the audience had a husband as she was nagging, he also asked another young girl if she had a boyfriend and suggested the boys in the audience who wanted to be her boyfriend put their hands up. There was talk about boys being smelly and that girls used to be told that missing teeth were because of kissing the boys. A lot of this went over the kids heads, but it was very uncomfortable to watch and not what I want my children listening to. Gender stereotypes do not need to be pushed onto children, especially at a magic show. I would have preferred him just doing the magic tricks and being silly. The kids absolutely loved the tricks and the interactive sections had them all laughing and shouting at the stage! 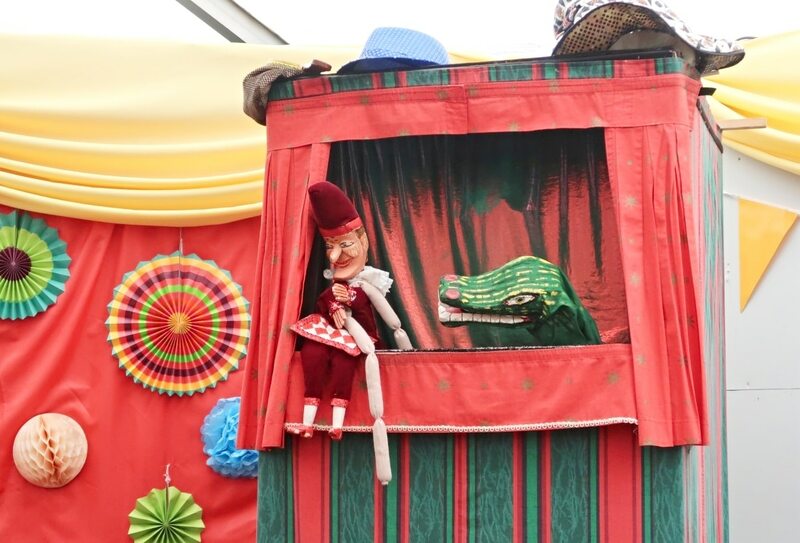 The puppet show was a little better, although I’m not quite sure why it had to involve Punch, the puppet who was well known as a wife beater. At least Judy wasn’t there! The show was mostly about Punch singing naughty songs and blaming the kids in the audience for it. Perhaps next time the magician could spend a little less time talking about gender stereotypes and more time on magic tricks and wowing the audience. I found myself with three kids on the water in a pedalo boat. My 7 year old steered, with a little help from me, and I pedalled, whilst the other two kids sat in the back. I didn’t realise what a workout pedalling a pedalo can be! 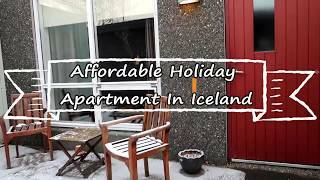 This doesn’t cost any extra, but there might be a bit of queue if it’s a nice day in the holidays. Everyone chooses and fits their own life jacket, but I would advise making sure kids didn’t lean over into the water anyway, it’s pretty cold in there! Beside the pedalo’s are there steps up to the flying fox. I really wanted a turn, but we never managed to get round to it! The line goes across the water where the pedalo’s are, so it’s a little more exciting than zip lines down to the ground. Once you get off at the other end you need to carry your seat back round to the beginning. We absolutely love the play park and there’s a good chance that you will get stuck there for quite a time. I find it best to get it out the way to begin with. Then you can keep going to look at the animals further round the safari park. 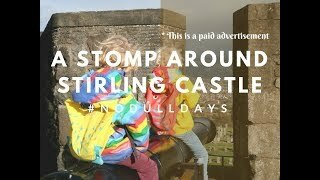 Definitely make sure you factor in plenty of time to play in the sand and on the the forts and pirate ship, plus find a good spot to stay in so the kids know where to find you when they reappear! Beside the sea lions is a bumpy slide, children can grab a piece of hessian from the bottom of the steps and carry it to the top to slide down. If you don’t want to pay for the amusement rides, then this is a good thing to direct the kids towards, they can have as many goes as they wish and it won’t cost you any extra! The main restaurant is beside the park and on nice days you can sit outside to eat. As the kids had chosen lunch bags with 5 different items and us adults had cooked meals, the kids gulped their food down and went off to play in the park whilst we finished! 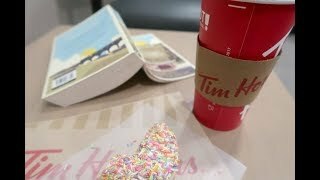 There was a great choice of food and I was pleasantly surprised with the vegetarian options. I chose to have a beetroot and quinoa burger, although there were plenty of other options available, both sandwiches and cooked items. Around the park there are various small food kiosks in wooden huts. You can buy small meals including pizza and chips and plenty of sweet treats. We had an ice cream near the chimpanzee boat area, which is a lovely spot to watch the boats on the river! Opposite the main car park is a barbecue area, which would make for a great lunch out in the summer. You need to bring all the fuel etc, but it’s a nice alternative to having a barbecue in the back garden! Would be a lovely idea for a party or family get together.